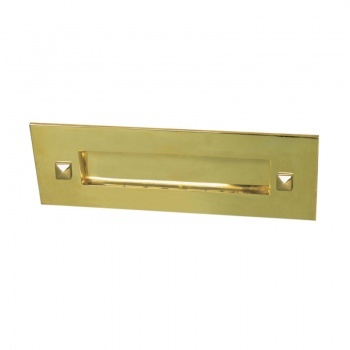 This heavy traditional solid brass or nickel letterbox is an excellent addition to any door. Machine forged, spring loaded flap and with a superior finish, this letterbox will add a touch of gradiose and tradition to any front door. 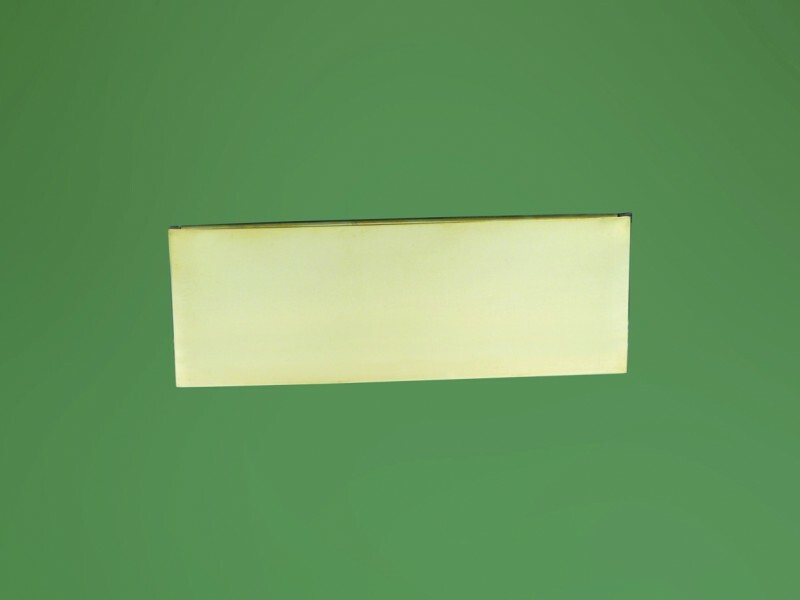 The stylish letter plate has a large aperture capable of recieving A4 letters without folding the envelope. Available with and without the clapper. Available in aged brass or nickel. The solid brass is the more traditional finish, whereas the nickel plated variant gives a more contemporary look, as well as an extremely durable finish. Dimensions - width 300mm, height 102mm, projection 11mm.